Thousands of temporary seasonal jobs with the Forest Service and its partners are available this summer and officials say now is the time to begin the application process. Seasonal job opportunities also provide first-hand knowledge of natural resource management to the new hires, many of whom are young adults. These work experiences may instill lasting and meaningful connections between the future stewards of our land and America’s great outdoors,” Tidwell said. Many of the communities most affected by economic hard times are located near national forests and grasslands. By providing temporary jobs to a diverse group of applicants, the Forest Service is contributing to stronger communities and providing safe access to the forests and grasslands for their use and enjoyment by people of all abilities, Tidwell noted. 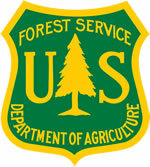 For example, through the Forest Service’s Urban and Community Forestry program some of these employment opportunities will engage students in the creation of a new generation of clean, accessible great urban parks and community green spaces, a goal of President Obama’s America’s Great Outdoors Initiative -- a plan to reconnect Americans to the forests and grasslands that sustain the nation. An employment alternative offered through the Forest Service is enrollment in one of the agency’s 28 Job Corps Civilian Conservation Centers. This rigorous vocational training program combines a demanding academic curriculum and prepares students to excel in the 21st century workforce. One emphasis area focuses on “green-collar” jobs and clean energy issues. Recognizing the program’s efforts in green jobs training, President Obama has endorsed them as America’s Green Job Corps. The Forest Service, the Bureau of Indian Affairs, Bureau of Land Management, Fish and Wildlife Service, and National Parks Service, and the Employment and Training Administration share common goals regarding career development for young people. These goals include giving low income youth opportunities to gain valuable work experience, provide service to their nation, and contribute to much needed work projects on public lands. Land management agencies and the land itself can benefit from increased employment of youth on the public lands, especially to address the backlog maintenance issues many agencies face. As these workers learn about the potential career pathways in these occupations, those who are interested can help meet the imminent demand for skilled workers as approximately 35 percent of Forest Service employees are eligible for retirement in the next four years, Tidwell said. These jobs will also be part of the President’s White House Summer Jobs+ initiative to provide pathways to employment for low-income and disconnected youth in the summer of 2012.